Christian, thank you so much for your interest in Matilda Jane Clothing! Feel free to visit us at https://www.matildajaneclothing.com/Pws/HomeOffice/tabs/find-a-trunk-keeper.aspx?IsRecruitLead=True to start the process to find a Trunk Keeper in your area today. Have a wonderful week and don’t hesitate to give us a call at 260.424.3511 with any questions you might have. Darlene, thank you so much for your interest in Matilda Jane Clothing! To learn more about becoming a Trunk Keeper feel free to visit us at https://www.matildajaneclothing.com/pws/homeoffice/tabs/join-us.aspx or feel free to send an email our way at opportunity@matildajaneclothing.com. Thank you again for your interest and have a great week! We think some of the best memories are made in the home with the ones you love most –whether that is wrapping presents, cooking and enjoying a meal, or up into the wee hours reminiscing and laughing until your cheeks hurt from all the smiles. I don’t know about you, but the holidays in my family are all about this and more. Growing up as a child, I was so lucky t0 have a family with amazing chefs and bakers on both sides (gotta love a little Italian and southern cooking 😉) and so much of the reminiscing during the holidays was in the kitchen while we prepped, stirred, and baked the dishes of the season. One holiday tradition is spending hours making and decorating our Christmas cookies to perfection. 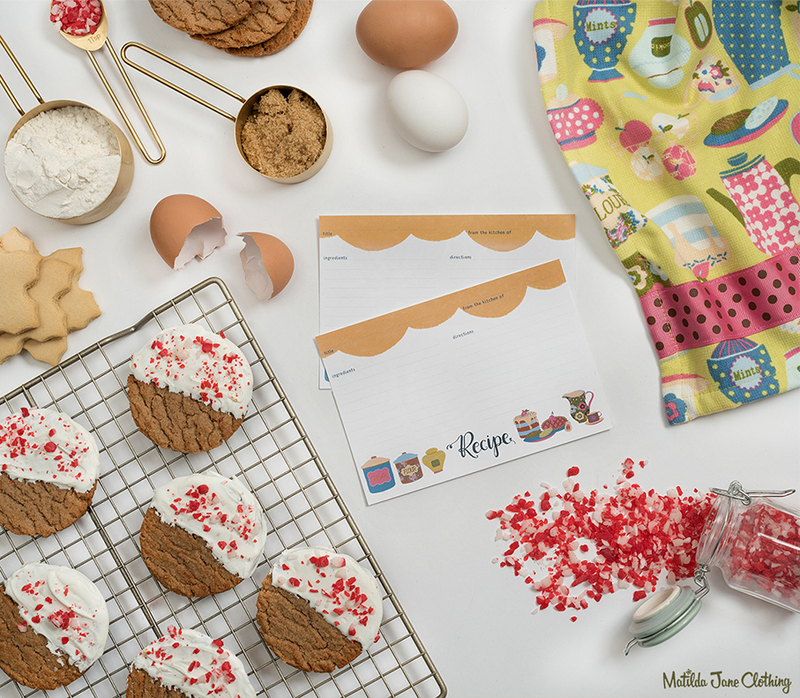 Thank you so much for the sweet recipe card! This will be a perfect addition to my daughter’s gifts!